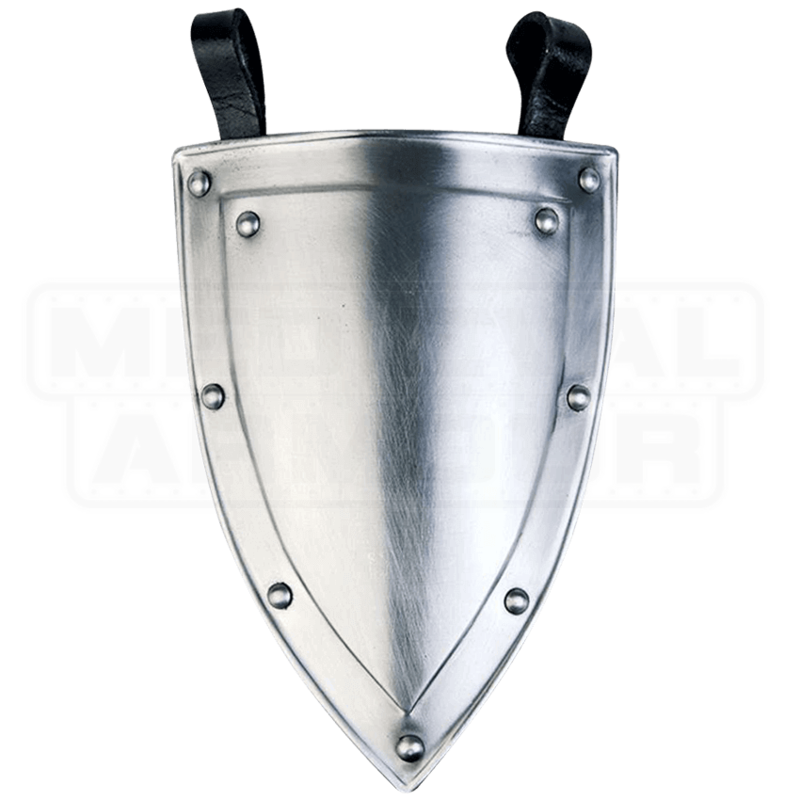 Featuring a classic, triangular shape and decorative rivets, the Steel Balthasar Shield Tasset is a versatile addition to any LARP or medieval look. It can easily be attached to most belts via two sturdy leather loops. This functional piece of plate armour is made of 18 gauge steel and matches particularly well with other armour pieces from the Balthasar series, such as the Balthasar Cuirass (MY100252). For the extra crafty, it can also serve as a great base for self-customization, such as decorating with personal heraldry. These tassets are an excellent alternative to a tasset belt with the tassets in a fixed position. They will slide onto any belt up to about 2 to 2-1/2'' wide, and can be positioned anywhere you like. They look OUTSTANDING under a breastplate, and make it very easy to sit, squat, or kneel down. The polish is a bit hit-n-miss, but it's easily cured with some WD-40 and steel wool. 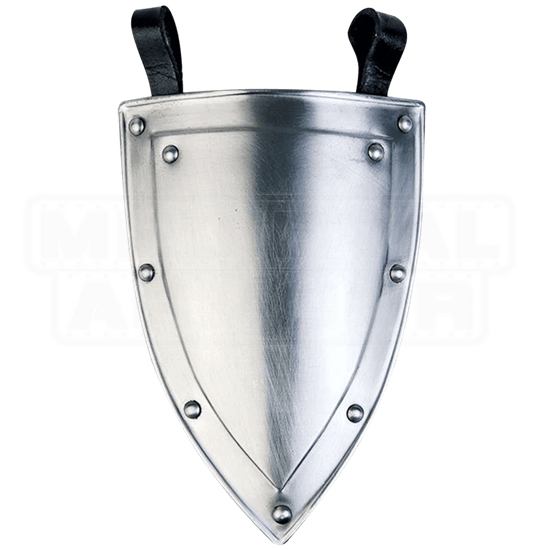 If you have a breastplate or cuirass without fixed tassets, I highly recommend these(or any of the other styles)as an affordable and great looking alternative. Very nice!